NIMD’s Benin office has held the second training session of the 2018 School of Politics. 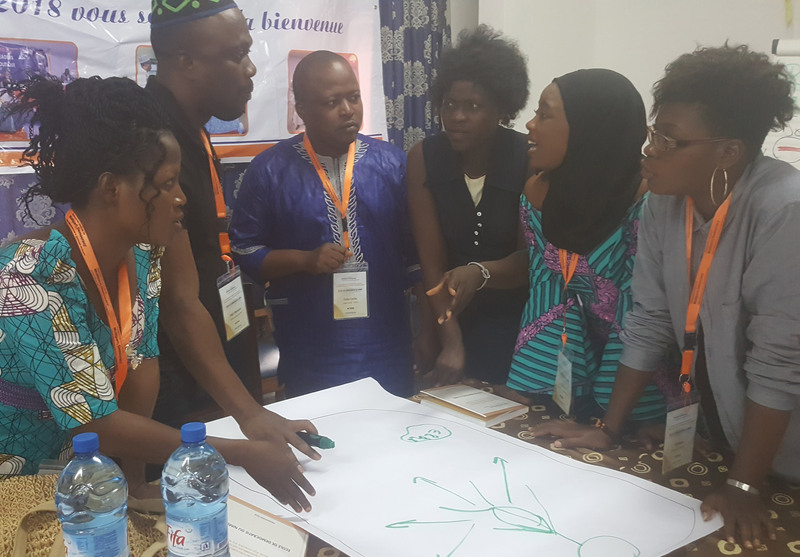 The training ran from 29 June to 1 July and focuses on the challenges of decentralization in Benin. Participants learned from Camille Dossou, expert in local governance and Vincent Acakpo, Mayor of the town of Dogbo. The NIMD Democracy Schools and Schools of Politics bring politicians and future leaders from across the political spectrum together. From day one, the participants acquire the skills they will need to become political leaders. And they study key democratic principles such as equality, ethics and inclusion. In addition, they study key challenges for their country, such as decentralization in Benin, to gain a deep understanding of the context and issues that will be important in their work. Just as importantly, by working together across party lines, the participants get to know each other well; they build relationships and learn to trust one another. This lays the foundations for a broad and strong network of democratic leaders.